3 Bedroom Semi Detached House For Sale in Sheffield for Offers in excess of £100,000. PUBLIC NOTICE - 70 Beacon Road, Sheffield, S9 1AD - We are acting in the sale of the above mentioned property and have received an offer of 110,500.00. Any interested parties must submit any higher offers in writing to the selling agent before an exchange of contracts takes place. Any interested parties must submit any higher offers in writing to the selling agent before an exchange of contracts takes place. 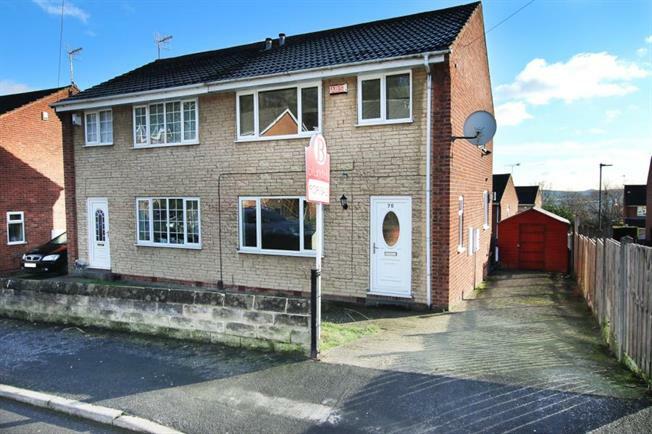 Offering no chain is this three bedroom semi detached property with driveway. The house offers gas central heating and partial double glazing. Accommodation comprises, entrance hallway, through lounge diner, kitchen , three bedrooms and bathroom. Outside gardens to both sides and space for a shed. Ground Rent : 25.00 per annum. Service Charge : There is no Service Charge Payable. Located close to local schools, shops and bus services. Viewing strictly via the agent.